Anniversaries are a time to look back and also to look forward. As FLCAJ celebrates our 30-year anniversary, many of our partners in serving community associations also review where they’ve been and how they see their niche of the community association field changing. Technology is certainly evolving faster than ever! We are an on-demand society, and AKAM On-Site embraces this. For example, the implementation of digital work orders provides our clients with automated responses to ensure that our residents are informed throughout the process of each request. In addition, online shopping has drastically increased the amount of deliveries an association receives. To ensure that clients receive the highest level of service, in many communities we have recommended allotting unused storage spaces for larger package rooms and more efficient receiving areas. Document security has always been an important aspect to AKAM On-Site’s services. The newly passed House Bill 1237 requires associations with more than 150 units to create and maintain websites as online information centers in accordance with statutory requirement under the new section 718.111(12)(g)a. AKAM On-Site is in the final development stages of our community websites, well in advance of the go-live date of July 1, 2018. To learn how AKAM On-Site can deliver exceptional service to your community, please call (954) 843-2526 or visit www.akam.com. Asphalt Restoration Technology Systems wants to congratulate FLCAJ on their 30th anniversary! Having been a part of the magazine from the mid-90s, it is exciting to see where we have been and where we are going. We look forward to another mutually beneficial 30 years and more to come. One of the exciting things that we have seen change in our clients and managers is that they are becoming more “hands on” than ever! With the internet at one’s disposal for all the questions one might be afraid to ask at conferences, clients can access their answers in the privacy of their own homes. Because of that, I get to deal with a more educated clientele who are excited about learning about my industry rather than just obtaining a quote! We establish long-term relationships with our clients, and it’s been a lot of fun to watch their families grow and watch their communities move forward into the future while adjusting to new technology. I am always excited when I attend paperless meetings and am fascinated at the direction and ease new technology has taken us all! For more information on Asphalt Restoration Technology Systems, please call (800) 254-4PDC (4732) or (866) REJUVN8 (735-8868) or visit www.asphaltnews.com. From our perspective, the reserve study industry has changed in some subtle but important ways in recent years, particularly since the economic crash that began in 2008. Since that time, we’ve seen homeowners become keenly aware of the benefits and risks to property values that come with living in community associations. Savvy owners (and potential buyers) aren’t just asking “how much are the HOA dues?” anymore, because they know that there’s more to it than that. We’ve seen much more attention paid to the “big-picture” financial health of communities. As a result, the associations that have prioritized long-term planning, invested in their infrastructure and amenities, and recognized that our real estate market is a very competitive atmosphere will continue to stand out from the crowd for years to come. I have been providing legal counsel to community associations for 30 years. The internet and the electronic devices we use have had the most dramatic impact on the way I practice law and interact with clients, those who do business with my clients, the courts, and opposing counsel. Email, video conferencing, texting, tablets, laptops, and smartphones have allowed our firm to serve communities farther away from our physical offices than we could before such technology made physical distance irrelevant. Clients are now able to choose the most experienced, capable lawyers available without being limited by the geographic location of a firm’s offices. Access to national databases and legal research tools have provided smaller law firms with virtual law libraries that rival the largest firms’ physical libraries, further eliminating size as a factor when clients are selecting a firm for their legal work. Cloud-based software that provides clients and managers with instant access to the status of their collections and foreclosure matters has helped minimize the need for telephone calls and has made the entire process of collecting a community’s delinquent accounts more efficient for our staff and clients. For more information on Backer Aboud Poliakoff & Foelster LLP, call (800) 251-3562 or visit www.BAPFLAW.com. All management companies want to become more efficient in the future. One new, easy way to streamline your company is to outsource your printing and mailing needs to a vendor who specializes in those services. These companies print, collate, stuff, seal, and stamp your documents and then present them to the post office. With these services, you can mail newsletters, personalized letters, marketing materials, general correspondence, statements, and more. Reduce labor costs and direct current employees to other tasks. Eliminate maintenance and service costs for printers, folders, inserters, and meters. Eliminate postage meter rental costs. Eliminate consumable costs: ink for printers and postage meters. Open up space for other uses. Using a vendor to complete printing and mailing services is often more cost effective than completing your own mailings, especially if you are sending out large quantities. New technologies allow for reading of PDF files, which makes it much easier for property managers to shift that work to third-party vendors with greater accuracy. Letter printing and mailing saves your business time and money. Instead of wasting hours printing, stuffing and addressing envelopes, adding stamps, etc., let someone else do that work for you! For more information on Bank-A-Count Corporation, call (800) 445-3913 or visit www.bank-a-count.com. Roofing has come a long way in the last century and a half. For many years, the roofing system was a typical built-up roof, meaning that the roof was manufactured on site by applying multiple layers of felt in either asphalt or coal tar pitch. This was labor-intensive and was dependent on the cost of raw materials, which varied greatly. Asphalt is a petroleum byproduct, and as we all know, prices on gasoline can fluctuate wildly. Beginning in the early 70s during the gasoline shortage, other alternatives begin to emerge. The “single plies” started trickling into the marketplace. The major attraction was that they were less labor-intensive, and contractors did not have to have all the heavy equipment required for the built-up roof. There was a learning curve, and many of the early single-ply products had problems, but the systems coming out now have a very good track record. These systems are expected to grow in popularity in the coming years. For more information on Ed Williams Registered Roof Consultant LLC, please call (772) 335-5832, email ewilliamsrrc@msn.com, or visit www.EdWilliamsRegisteredRoofConsultant.com. Five years ago, the use of analytics in community security was much less common and often was not affordable for many associations. With technological improvements, providers are much more capable today to supply and administer security analytics in various areas of communities and at a more reasonable price. This is especially helpful for communities that suffer from trespassing at community assets. Older technology and cameras were reactive to trespassing or caused many false alarms. Newer systems and cameras can be proactive with accompanying “voice-down” features and verified alarms. The field of security and technology is constantly evolving and adapting, and we will continuously see improvements to many methods. There will also continue to be a progression of hybrid systems, or the combination of technology and humans working simultaneously to secure multiple areas of communities. Envera Systems specializes in security technology systems with remote guards to replace or enhance guards at communities. Contact info: (855) 380-1274, email ask@envera systems.com, or visit www.EnveraSystems.com. First and foremost, Friends of Bats is delighted to add our congratulations to the FLCAJ in celebrating their 30th year! During this time, we have seen many changes in our industry. Some of these changes are driven by the following factors. When we began in this business almost two decades ago, there was no legislation codifying the need to protect bats and conduct safe and humane exclusions. We only had guidelines. Friends of Bats, along with the University of Florida (UF), the Florida Fish and Wildlife Conservation Commission (FWC), and the Florida Bat Conservancy, contributed expertise to a number of statutes, protecting bats and codifying exclusion practices, which are now enforced by FWC Officers. Today, both general liability insurance and workman’s compensation insurance are prerequisites in winning customer contracts. As new materials have been developed, we have continually revised and adapted our techniques and methodologies to take advantage of these. All of the above have helped us both to better serve our customers and to protect the environment. 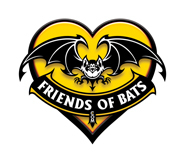 For more information on Friends of Bats, call 1-888-758-BATS (2287), email john@friendsofbats.com, or visit www.friendsofbats.com. Kings III is known for all-inclusive elevator phone monitoring, cellular capabilities, code compliant elimination of costly dedicated phone lines, and passing inspections with flying colors. What has historically been overlooked, particularly in markets without state code requirements such as Florida, is our emergency pool phone service. While not currently mandated in all 50 states, we have many regional and national customers who have for years now included pools in their Kings III service, code required or not, for uniformity across their portfolio and for risk and liability reduction purposes. Recently, we have seen an uptick in Florida pool phone inquiries for properties outside of our national customer base. Florida consistently ranks in the top three states annually for pool drownings. The beginning of a trend we’re seeing is insurance companies starting to take notice and in some cases require emergency pool phones, whether state mandated or not. For more information on Kings III, call (844) 357-3849 or visit www.kingsiii.com. Our work as an environmental resource company has certainly changed in the last few years. The focus remains on caring for lakes and waterways in association communities, municipalities, and golf courses. However, as these communities age, the land bordering waterways has eroded, creating dangerous situations and putting homes at risk for flooding with the recent storms, and erosion has increased, creating a need for restoration. For almost two decades, the company has installed its patented, bio-engineered solutions that are stable, long-lasting, and compliant with all Best Management Practices. Our centerpiece products include Shoresox™ and Dredgesox™ Erosion Control. Both methods involve placing an armored containment unit along eroded shorelines. The SOX Systems are filled with organic sediment and then secured to the shoreline with a patented soft-armored anchoring system to prevent further erosion while reclaiming land. Following installation, plants and/or sod grow directly through the mesh, creating newly rooted and vegetated shorelines. For more information on Lake and Wetland Management, visit www.lakeandwetland.com or call (855) 888-LAKE. The core concept of property management has not changed over the years. Having a dedicated and highly-trained professional staff who delivers quality and timely services remains crucial in our industry. Management companies continue to be responsible for preserving the value of property and helping our clients to truly enjoy their homes and communities. Over the past half-decade, Florida’s population has been experiencing rapid and sustained growth. The latest U.S. Census Bureau data reports a population of more than 20 million in Florida, ranking us as the third largest state by population after California and Texas. Florida can expect to continue to grow in the number of residents, thus requiring further housing development to accommodate the growth. Hurricane-prone Florida in itself creates a huge challenge for our industry, as the number and intensity of hurricanes is predicted to increase within the next five years. We will continue to invest in the latest technological advancements to successfully exceed our clients’ expectations or be prepared to be blown away by competitive companies that will! It is also critical that communication and service providers continue to better secure their infrastructures to avoid disruption in services resulting from such storms. For more information on Lang Management Company, call (561) 750-8800, email kmc@langmanagement.com, or visit www.langmgmt.com. Thirty years ago, most boards and managers had never heard of a reserve study. In the mid-1990s, our firm founders and a handful of other reserve study providers developed the national reserve study standards, so boards could have reasonable expectations of what information should be in a reserve study. Today’s reserve studies contain more information and tools than ever before. Community managers, board members, owners, and prospective buyers have come to rely on them to assess the current financial health of their communities and to develop a strategic plan for their future. Thank you, FLCAJ, for educating our industry on what reserve studies are and why they continue to be so important. For more information on Reserve Advisors, call the firm’s Florida office at (800) 980-9881 or email Matt@reserveadvisors.com. In the past decades, community association boards were faced with a complete roof replacement when problems were encountered. Most properties today don’t need to be re-roofed. Instead, a silicone coating can be applied for less than a third of the cost of a new roof. The silicone is better than a new roof because it resists ponding water; water doesn’t get in because it’s one solid, monolithic membrane that doesn’t crack like tar. For tile, shingle, or metal roofs, when they are repaired, often they are not the same color, and the roofs look like a checkerboard. Even if the same color is available, the sun has beat down on the older material for years. We can put on any coating and then it will all be the same color. Additionally, the coating can reduce the roof temperature, include mildewcide and algaecide to avoid the need for pressure washing, waterproof tiles, and provide a breathable barrier.” And in preparation for the next storm event, coatings that resist up to category 5 storms are available. By Siegfried, Rivera, Hyman, Lerner, De La Torre, Mars & Sobel, P.A. Our firm is celebrating our 40th anniversary this year, and we are pleased to salute the Florida Community Association Journal for its 30 years of serving as the voice for condominium and HOA matters in the state. As we look to the future, we foresee significant changes involving the use of technology by associations. For condominium associations with 150 units or more, a new Florida law requires digital copies of some of their official records to be posted on their websites by July 1, 2018. The state’s Department of Business and Professional Regulation (DBPR) is notifying the corresponding condominium associations of the new requirement. We also anticipate many Florida HOAs and condominium associations will be incorporating electronic voting into their procedures. Two years ago, a new state law authorized associations to conduct elections and other owner votes through an online voting system, and the DBPR has since adopted administrative regulations governing how associations may implement e-voting. We look forward to the Florida Community Association Journal’s future coverage of these and other important trends impacting the state’s nearly 50,000 associations in the years to come. The South Florida law firm Siegfried, Rivera, Hyman, Lerner, De La Torre, Mars & Sobel P.A. focuses on community association law and represents more than 800 Florida associations. It maintains offices in Miami-Dade, Broward, and Palm Beach counties. For more information, visit www.srhl-law.com, www.FloridaHOALawyerBlog.com, or call (305) 442-3334. Even though the trash chute system is still the last thing a condominium ever thinks about, more and more insurance companies are paying attention to the code compliance issues. Liability insurance policies are not being renewed unless trash chute doors are repaired and maintained to be code compliant. This brings the maintenance of the chute system to the forefront much more than a potential inspection by a fire department. Managers, maintenance managers, and board members are becoming more educated on why the trash chute is part of the life safety requirements, but we still have a long way to go. Chute doors have to be UL “B” Label rated, which means all of the replacement parts have to be of the same rating, so in-house repairs using generic hardware do not meet code. This remains an issue in small or budget-challenged properties, where professional repairs are rarely done. For more information on Southern Chute Inc, call (954) 475-9191, email joanna@southernchute.com, or visit www.southernchute.com. Five years ago, if you’d asked me about Facebook as a communication tool for managed communities, I would have looked at you like you had two heads. But, naturally, social media is entering the picture and influencing how association-managed communities communicate. Emerging conundrums include everything from board members speaking for the association on their personal Facebook pages and social media fights between neighbors spilling out into the media to board social media channels turning into de facto board meetings that break laws and CC&R protocols. This emergence means that change is coming: legalities with regard to social media communication are going to have to be written, and soon. Social media and its effect on how associations hold meetings, establish quorums, interface with members, etc., is quickly evolving. I anticipate this change in the near future as social media becomes a regular tool for associations and the communities they control. For more information on The Melrose Management Project, call (407) 228-4181 or visit www.melrosecorporation.com. TRC Worldwide Engineering, Inc., (TRC) is celebrating 50 years of service to the Florida building and construction industry. Initiating its acquisition strategy, TRC strengthened its Florida capabilities through the presence of Jenkins and Charland Inc., a Ft. Lauderdale-based structural engineering firm, co-founded by Regional Director, David O. Charland. Now a TRC company, actively involved in the design of new construction and a major service provider to the restoration and inspection market, providing restoration engineering, threshold and 40-year recertification inspections, turnover studies, and reserve replacement studies for the condominium industry. TRC has developed an extensive history throughout Broward and the tri-county area. Noting that water, salts, wind, and sunlight will eventually take their toll on most buildings over time, recognizing the early signs of corrosion can postpone deterioration. Many seasonal residents close their units for the summer and leave them unattended. This dormancy can often lead to multiple problems with building systems over time. Be proactive, hire a good engineer to do an inspection, and write a report and include photos. If you have multiple concerns, have your engineer do a feasibility study to educate your building owners and budget accordingly for current and future work. For more information on TRC Worldwide Engineering, call (954) 484-7777 ext.218 or visit www.trcww.com.